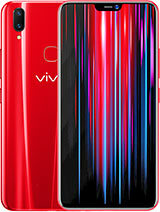 Features: 6.22" IPS LCD display, MT6762 Helio P22 chipset, 4030 mAh battery, 64 GB storage, 3 GB RAM. 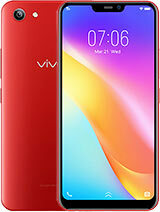 Vivo Y91 (Mediatek) is Candybar, Touchscreen Android Smartphone from Vivo which runs on Android OS, v8.1 (Oreo). 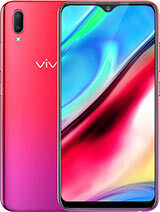 Vivo Y91 (Mediatek) is available in Starry Black, Ocean Blue colors and 163.5 g (5.78 oz) of weight. 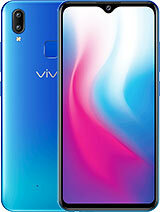 Vivo Y91 (Mediatek) has 6.22 inches IPS LCD capacitive touchscreen display. 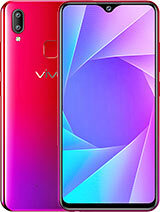 Vivo Y91 (Mediatek) is powered by Octa-core 2.0 GHz Cortex-A53 CPU, Mediatek MT6762 Helio P22 (12 nm) Chipset and PowerVR GE8320 GPU along with 64 GB Storage and 3 GB RAM. 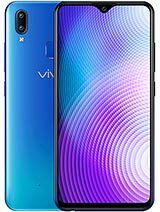 Additional features of Vivo Y91 (Mediatek) are Active noise cancellation with dedicated mic. 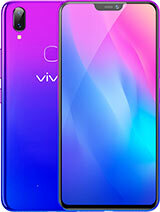 Vivo Y91 (Mediatek) has GPRS, EDGE, 3G, WIFI, Bluetooth, GPS connectivity options on board. 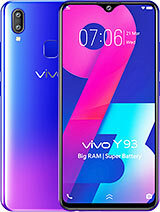 We are trying our best to provide you correct and updated information about Vivo Y91 (Mediatek) but we can not assure that all the details are absolutely correct on this page. If you find any mistake on this page then click here to inform us.